the first factory who have got so complete equipment. 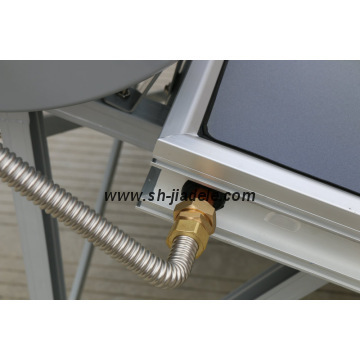 Jiadele is a well established Company focused on delivering cost effective hot water, space heating, industrial hot water and air-conditioning solutions for residential and industrial markets. Our mission is to reduce global CO2 emissions,address the rising energy costs and to promote widespread use of renewable energy resources. Our modern products will help you to reduce your carbon footprint to protect the environment. 1.Total investment is 9.6 million US Dollars; 2.Total employees 680 persons with office clerks 180; 3.Specializes in producing compact non-pressurized and pressurized /split pressurized heaters with/module solar water day production capacity of 60O sets ; 4.Covers an area of 28000 m2 with 20000m2 standard workshops; 5.CNC System of Full Automatic Punching Machine,PU High Pressure Foaming Machine from Singapore and Germany magnetron-control sputtering Film Plating Machine 6.Professional R laboratory and 16 intelligent researchers ; 7.Certificates:SRCC, SK(Solar Keymark), CE, KC, ISO9001 . 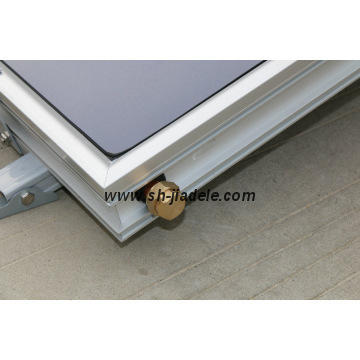 Factory Info: Zhejiang Jiadele Solar Energy Co., Ltd.
Jiadele Company is established in 1998, it designs, manufactures and exports cost-effective solar thermal systems used for domestic hot water and radiant heating applications, which include the residential and commercial hot water systems and projects.Jiadele is located in Jiaxing, Zhejiang Province, about 2 hours' driving away from Shanghai or Hangzhou. 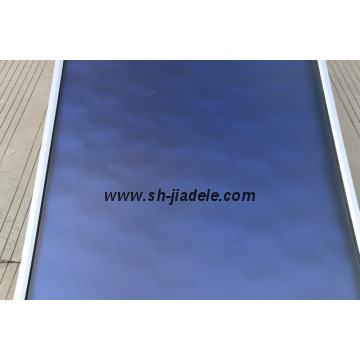 We have passed CE, ISO9001:2008, KC, SOLAR KEYMARK and SRCC Certificate.Our mission is to deliver environmentally friendly, highest quality products to global markets. 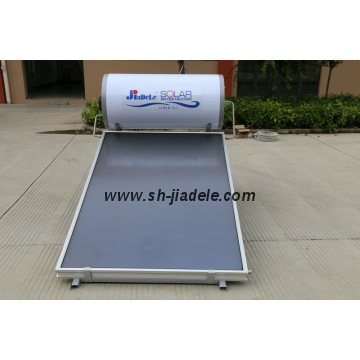 They can be used in any climate, and the fuel what they use is free sunshine.Jiadele manufactures all components of solar water heaters that includes tanks, twin-glass for evacuated tubes, frame, manifold, mounting hardware and so on. Jiadele satisfies "4S"(Satisfaction / Service/ Speed /Sincerity ) Marketing Target, which can bring the customers a profitable future by minimum investment.Jiadele has vast experience of solar projects home & abroad, which is one of the most powerful advantages to cooperate with many customers all over the world.